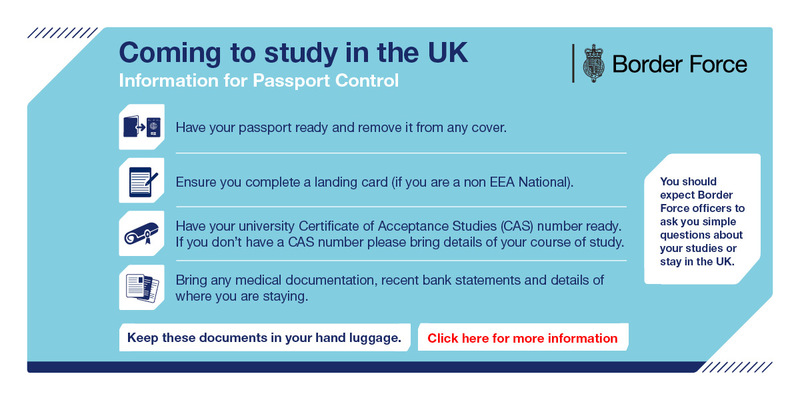 EU/EAA Citizens: If you are a citizen of an EU/EAA country, you do not require a visa to study in the UK. Non-Visa Nationals: A ‘non-visa national’ is a citizen of any country that is not detailed by the UK on the above website. A non-visa national may not require a visa to visit the UK for a period of up to 6 months; however your eligibility should be checked with your local British embassy or consulate. Usually a ‘non visa national’ who wishes to study for longer than 6 months is required to apply for an Short-term study visa (up to 11 months) before travelling to the UK. To gain entry clearance at boarder for a period of up to 6 months you need to provide a letter confirming that you are undertaking an English course and for how long (provided by inlingua Cheltenham). What type of Visa will I require? – you are 18 years of age and over. You can read more information on Tier 4 (General) student visa here. If you intend to apply for a Tier 4 Visa you must prove that your current level of English is within the Council of Europe Framework Reference (CEFR) B1 Level or above. You will be required to provide proof of your current English level via one of the Home Office approved tests. You must supply original documents with your Visa application and copies must be supplied to inlingua Cheltenham when enrolling. The Home Office approved language tests is called SELT (secure English language test) and the awarding bodies are Cambridge English Language Assessment and Trinity College London. A Tier 4 Visa will enable you to travel to the UK up to one month before your course starts. Short-term study visa: If you are a Visa national and 18 years of age or over and plan to study in the UK for a period of 6 months, you will require Short-term study visa (up to 6 months). With this you will not be permitted to extend your visa whilst in the UK. You will also not be able to work part-time during your course or bring dependants with you (e.g. husband/wife or children). If you intend to study a purely English language course (e.g. the inlingua Cheltenham General English or Academic English with IELTS course) for between 6-11months you can apply for an Short-term study visa (up to 11 months). A Short-term study visa will allow you to travel to the UK up to one week before your course starts. What will I need to support my Visa application? Proof from your bank that you are able to afford your tuition fees, accommodation fees and expenses whilst in the UK. If your parents or a financial sponsor are funding your studies you must provide proof of this, along with proof of your relationship with them. CAS reference number. On enrolment inlingua Cheltenham will provide you with a document (CAS Statement) confirming the details of your course and CAS reference number. Please note that the CAS is not an actual document but a number that exists on the Home Office database. This CAS reference number must be quoted on your visa application. Financial Details: Visa applicants will need to prove to the Home Office on application that they possess sufficient money to cover their costs while in the UK: tuition, accommodation, living expenses and travel costs. Should you plan to apply for a Tier 4 (General) student visa you will need to demonstrate that you have access to at least GBP 820.00 per month in accommodation and spending money. These funds must be in your bank account for a minimum of 28 days prior to the date of your application and the funds must be genuinely available for the purpose of funding your study and upkeep in the UK. Documentation: Should you not have the correct documents, it is unlikely that your visa application will be successful. 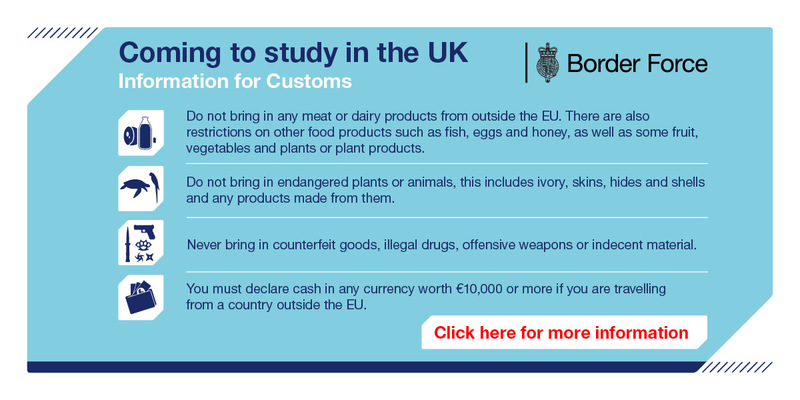 Take a look at these infographics about what not to bring to the UK as customs information. Here is also an infographic about passport control to note to make your passage go smoothly. Please note that the above information is for general assistance; it is not legal advice. inlingua Cheltenham cannot take responsibility for any inaccuracies. Please Note: You cannot change sponsor during the application process while you are awaiting the decision about leave to remain. inlingua Cheltenham is an official sponsor for Tier 4 Student Visa purposes. This system is relevant for all students wanting to study on academic courses in the UK for 6 months or longer from visa countries.